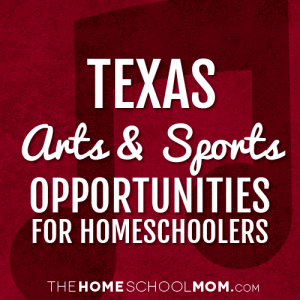 Our listing of Texas sports and arts opportunities for homeschoolers is ordered alphabetically by city, with arts resources in the first section and sports resources below. If you would like to submit a Texas arts or sports resource, you may do so using the red button above. Teaching the Suzuki piano method to K-12 children and young adults. Paul and Alexis Nichols offer voice, acting, guitar, and bass lessons to students of all ages in the Austin area. Voice and acting lessons may be offered on a one-on-one basis, or as a class. Piano Lessons in the North Austin area that focus on growing each child's love for music. Carrollton Music ConservatoryCarrollton, Coppell, Lewisville, Plano, Corinth, Addison, Frisco, The Colony. Violin & Viola program and early childhood music for students ages 3 to 93. Offering one on one instruction for the piano. Lessons are weekly and students are offered two public recitals per year. Give your child the gift of music and a chance to shine! Suzuki Violin instructor offering mini private, theory classes and group classes. The School of Contemporary Ballet Dallas is expanding its program to include "Ballet in the Day!" classes for Home School students ages 7-17yrs. Classes are on Monday and Wednesday mornings. Dance studio offering many styles of dance classes for children and adults of all ages and skill levels. Programs available specifically for home school students. The Emmick Music Studio provides private piano lessons, flute lessons and guitar lessons in Dallas, Texas. Welcoming students of all ages and all levels. Acting, dancing, musical theater, production, voice and private piano classes for kids ages 3 and up. 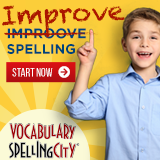 Specific classes for homeschool students. Sculpture Classes for all ages 7 and up degree of dificulty depends on age and experience. Located at North Lakes Recreation Center. Musical theater and homeschooling resource center offering creative and educational outlets for the whole family. Arts Fifth Avenue offers a variety of classes: may genres of dance, drumming, music, storytelling, and the visual arts. There are a wide variety of home-school classes available. Homeschool program offers classes and private lessons in ballet, theater arts, band, choir and art. Music lessons for homeschool students. Providing piano, voice, preschool music and Grace Notes Homeschool Choir for ages 4 to Adult. Frisco School of Music teaches lessons in piano, guitar, bass, voice, violin, fiddle, viola, drum, flute, trumpet, rock band, jazz band, classical band, music theory, and more. Music lessons for all ages and levels. 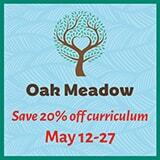 Special discounts specifically for home school students! The Galveston Homeschool Performing Arts Co-op has been founded to provide quality education in performing arts to enrich the learning experiences of area home-educated students. As a piano teacher, Brooke is a classically trained pianist with the desire to pass on her love for music to young people through piano lessons. Abrakadoodle Educational Art Classes now at Hobby Lobby for homeschoolers. Play for children performed every Tuesday morning in January 2011 by an acting troupe of homeschooled children. Great for arts field trips. Tickets are only $5. North Central Ballet is the only professional ballet school in the Northeast Tarrant County area. Classes are available for ages 2- adult and beginner-professional levels. Located in Keller, Texas. Private and Group Guitar Lessons. Mary’s teaches piano in her home in Castle Hills at 2804 Damsel Madison Lane, Lewisville, Tx 75056. Referrals available from the Castle Hills and surrounding neighborhoods. Private and group art classes for children( and adults) age 11+. Starts with very basic drawing techniques and adds with each lesson. Offers 1 hr and 90 minute lessons. Suzuki violin lessons in private or group setting. Students ages 3 and up learn at their own pace. NETAFA – Northeast Texas Academy of Fine ArtsNortheast Texas, Dallas, Rockwall, Hunt, kaufman Counties. A homeschool choir in northern Tarrant County and southern Denton County. Choral instruction for students grades K - 12 in 4 separate choirs. Accepting students of all levels. The CORE theatre in Richardson,TX offers classes for Homeschooled children between the ages of 12-14 and 15-17. Classes run in 10 and 8 week cycles and are offered on Wednesdays and Saturdays. Piano, Accordion, and Voice Instruction. Music lessons offered from 11 a.m.-1 p.m. Monday-Friday. Offering quality music lessons in guitar, voice, piano, bass and drums for ages 5 and up. First Colony Homeschool Ensembles provides homeschoolers the opportunity to make music together. CYT is an after-school theater arts training program for students ages 6 - 18. CYT offer training classes and full-scale musical productions. Archery classes for kids and adults. Offering recreational, group and competitive classes. Offering daytime classes for homeschooling kids in Brazilian jiu-jitsu for kids 5-12, Monday through Thursday. Deer Creek Stables is an equestrian facility specializing in horses and people that love and want to learn about horses. A kid friendly facility that welcomes the opportunity to work with children. Offering gymnastics, dance (tap, ballet, hip hop), karate, sports skills and music classes for children between the ages of Newborn to 12 years of age. Birthday parties available on the weekends. Offering Group/Semi-Private/Private horseback riding lessons. Pricing starts at $35. Contact fancypants.ranch@yahoo.com for information. Currently offering a broad range of support programs for homeschooled students including: Competitive Sports, Basketball - Boys & Girls, Volleyball - Girls, Baseball - Boys, and Track. Competitive Basketball with a Christian Spirit. Teams available for homeshooled boys and girls ages 8 -18. The MtB Mustangs formed to address the desire of homeschooled young men in the Montgomery County and surrounding areas to participate in high school and junior high level competitive baseball. A martial arts facility serving families in multiple locations. Specializing in after school care and home school martial arts. The primary purpose for the FEAST sports program is to provide an opportunity for home school children to play sports in a supportive atmosphere. Nova is excited to provide competitive athletic opportunities for homeschool youth in San Antonio and the surrounding area. Bilingual equestrian teacher in the Spring area offering beginning equestrian classes. Bilingual (Spanish and English) horse riding lessons. The stable is located on 2920 close to Tomball. Natural horsemanship classes and horse riding lessons in Waxahachie at family-friendly prices. The Thunder is a high school level program designed to meet the needs of young men that desire to play competitive homeschool baseball.